A lapis lazuli oval ring set to an Edwardian style sterling silver chassis. 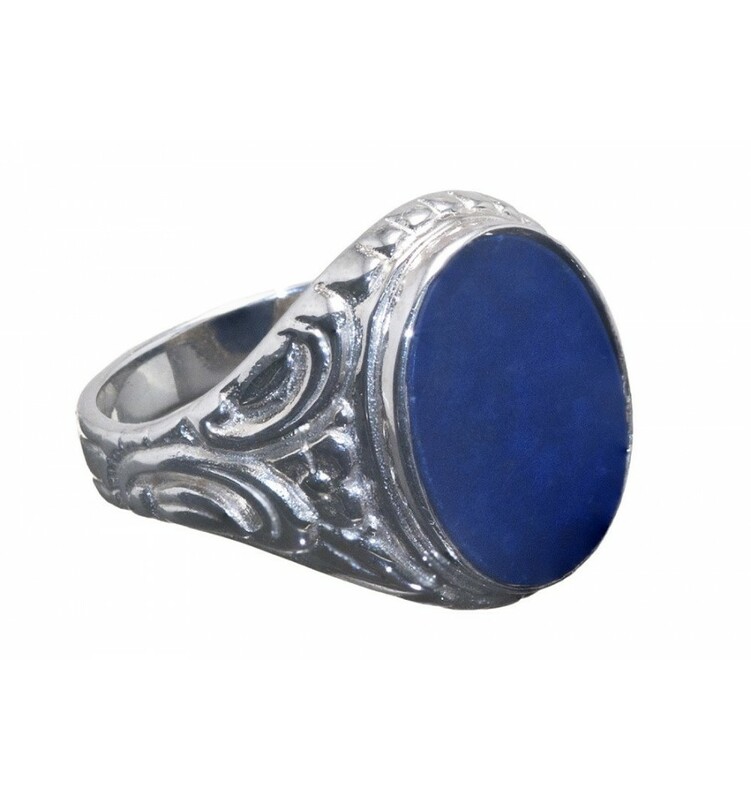 An oval of high quality lapis lazuli is held in a solid sterling silver chassis to create this elegant ring. 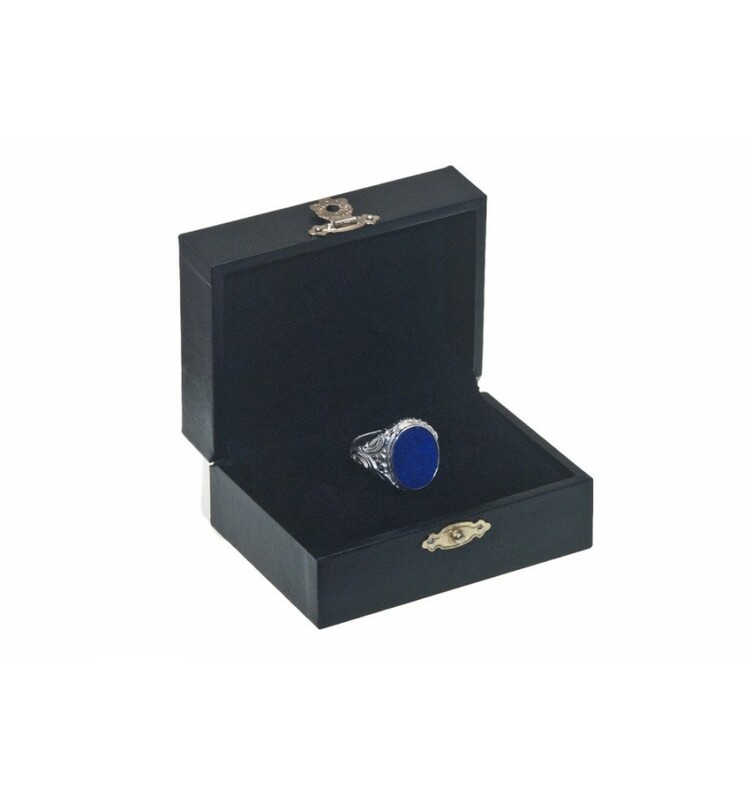 The shoulders feature an Edwardian design. 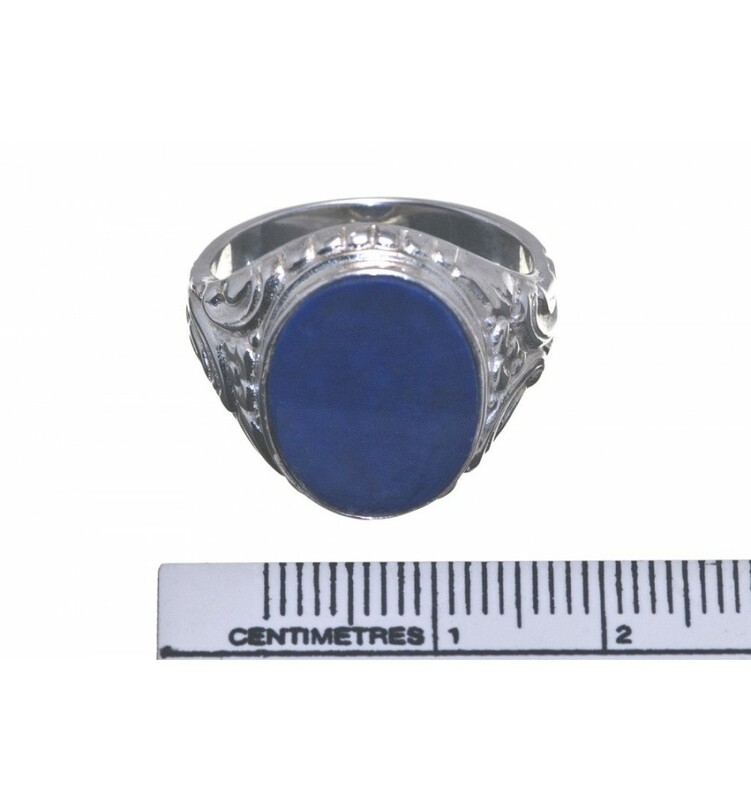 At just 16x13 mm this would be very suitable for a lady or gentleman to wear.